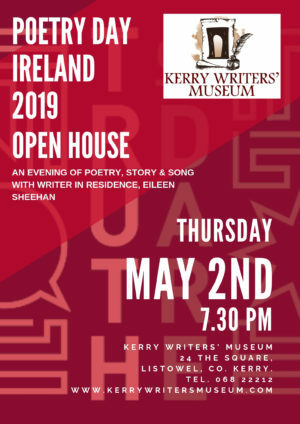 Poetry Day Ireland 2019 will be celebrated at Kerry Writers’ Museum on Thursday May 2nd with an ‘Open House’ evening of poetry, story and song. Everyone is welcome to this informal gathering of poets and poetry lovers to mark Poetry Day Ireland based on this year’s designate theme Truth or Dare? For example you can share a poem of your own, read a favourite poem, sing a song or chat about your favourite poet or poetry collection. The Poetry Day Open House evening will be hosted by Bealtaine Writer in Residence Eileen Sheehan in conjunction with local writing groups and starts at 7.30 pm. 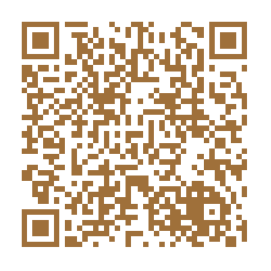 The Bealtaine Writer in Residence programme is a partnership between The Arts Office, Kerry County Council and Kerry Writers’ Museum and is co-funded by Creative Ireland Kerry and the Arts Council.